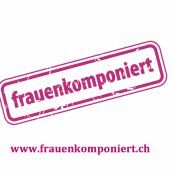 We are organising a concert entitled «frauenkomponiert» to take place on International Women’s Day in the main concert hall of the Basel Stadt-Casino. 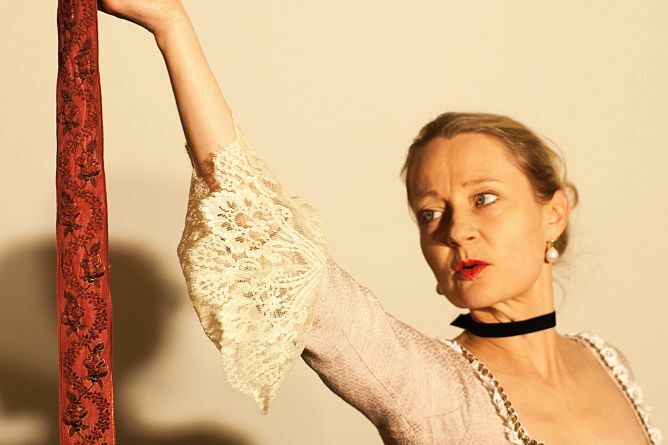 Professional musicians from Basel’s main orchestras and freelance musicians from Basel and the surrounding area will come together with Maya Boog (soprano) and Jessica Horsley (conductor) to perform 19th- and 20th-century compositions by women of various nationalities. In times past, the orchestra was primarily a male sphere, but there are excellent pieces by women composers that are not included in the standard orchestral repertoire of today. Our vision is to introduce these works to the music world and to make a significant contribution to music diversity. We are a group of enthusiasts for the project and not professional concert organisers. We learn to do whatever we need to for the project as the need arises. It’s a process of learning by doing! Why do we need crowdfunding? Organising an orchestral concert involves large sums and – even if we were brave enough to wait for the day itself – the costs can never be covered by ticket prices. So we need support from foundations, sponsors, patrons… and from crowd funding. Our total budget is CHF 125’000. We hope to make 10% of that (for room and music rental, props, pay..) via crowdfunding. It would be great to have your support. There are lots of great rewards for your support! Amongst our rewards you will find not only personally dedicated photos, CDs and free tickets, but also for example biscuits hand-baked by famous soprano Maya Boog, a conducting lesson from Jessica Horsley (to enjoy or pass on…) and an invitation to an exclusive dinner with chamber music. No lack of imagination there then! This project ended successfully on 1/2/2015 18:00! You will receive a photo with a personal dedication from soprano Maya Boog. So how is it done then? You will experience an exclusive orchestral rehearsal for the concert on 7.3.2015! All your question will be answered in a discussion with conductor Jessica Horsley and two of the musicians after the rehearsal. If you’re lucky enough to live in Basel or the surrounding area, Ursula will bake you a wonderfully juicy chocolate cake. To be delivered to you house on a date of your choosing, mothers’ day, birthday... yum yum! You and up to three of your friends will be invited to an exclusive introduction to the concert in February 2015 with conductor Jessica Horsley. Your chance to try it yourself! You will receive an exclusive conducting lesson (90 minutes) from Jessica Horsley. As a Farrenc Patron you will receive two concert tickets of your choice and will be named in the programme and on the website. If you really can’t be at the concert, then you’ll receive exclusive access to film footage of one of the works from the concert on March 8th. Voucher for 2 persons for a private performance of one of the repertoire pieces of Satu Blanc in her own theatre. As a Hensel Patron you will receive two concert tickets of your choice and will be shown to your seat before the concert by one of the composers(!). Plus a mention in the programme and on the website, of course... If you really can’t fly in from Beijing or Boston for the concert we’ll give you exclusive access to film footage of one half of the concert on March 8th. You will receive an exclusive invitation to a candlelight dinner with chamber music (date to be arranged). In the kitchen: the Project team’s own Gertrud, Ursula and Dominic; live music from Bernadette and Jessica. A piece of music, written for you personally by Jessica Horsley, for a instrument of your choice or voice. Now how does that sound? Feel free to send your chosen text. Also makes a great present! As a Smyth Patron you will receive two concert tickets of your choice and will be invited to finish off the evening with the artists in true style with a glass of bubbly. The mention in the programme and on the website goes without saying, of course... If you can’t be there on March 8th, you’ll receive an exclusive DVD of the concert. We are organising a concert entitled «frauenkomponiert» to take place on International Women’s Day, 8th March 2015. On that day, professional musicians will come together with the soprano Maya Boog and the conductor Jessica Horsley to perform 19th- and 20th-century works by women composers. Giving these «unprecedented sounds» time and space is both necessary and overdue.